In our house we are big fans of Prosciutto. 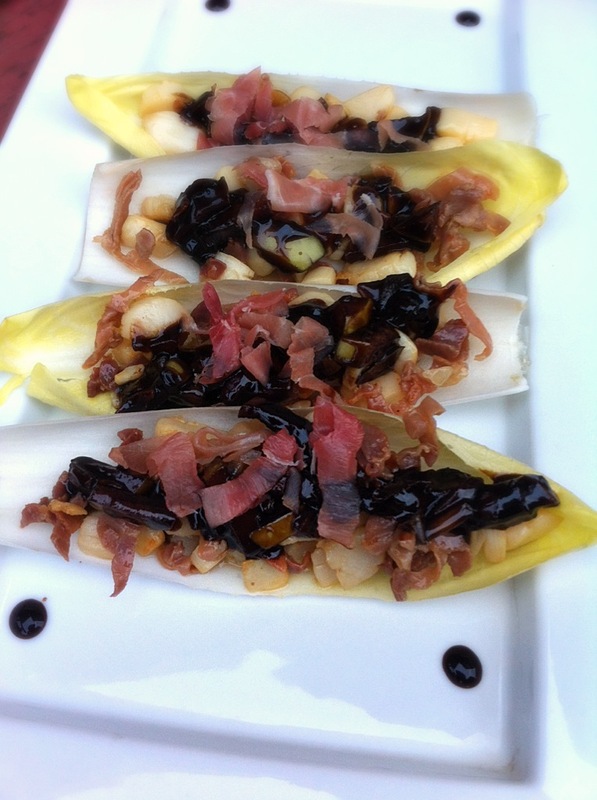 I love-making different things with prosciutto for appetizers around the holidays. I figured I could bring you something gluten free. This little treat is full of flavor, and it will keep your guests wanting more. Prosciutto di Parma is celebrating its 50th anniversary so I think they know a little something about making something about delicious flavor. Here’s a little appetizer I concocted for any occasion; especially the upcoming holidays. Begin with chopping your scallops. Place in a bowl and add lemon juice and pepper. Put aside. Slice prosciutto into strips. In a medium sauté pan on medium heat add 1 tablespoon of olive oil and butter. Then add scallops. Cook for about 4 minutes or so then add prosciutto. Cook until scallops and prosciutto begin to get golden brown. (About another 3 minutes.) If you feel like it add rum and either take it off the fire and light it with a lighter or what I usually do is just tilt the pan so it can flambé. Move pan to back of stove while you prepare the Balsamic sauce. In another sauté pan on medium heat add the rest of the olive oil and add shallots. Cook for about 1 to 2 minutes then add apples. Cook for another 2 minutes. Add the balsamic glaze stir for about 1 minute or so and let bubble. Turn off heat. Prep you endive on a long dish. Start to add your scallop mix and to top it off add the glaze. Enjoy!! Follow Parma Ham on Twitter for a chance to win $50 worth of the world’s most famous ham. Click on the banner below to participate. This post is a collaboration between the blogger and Parma Ham.